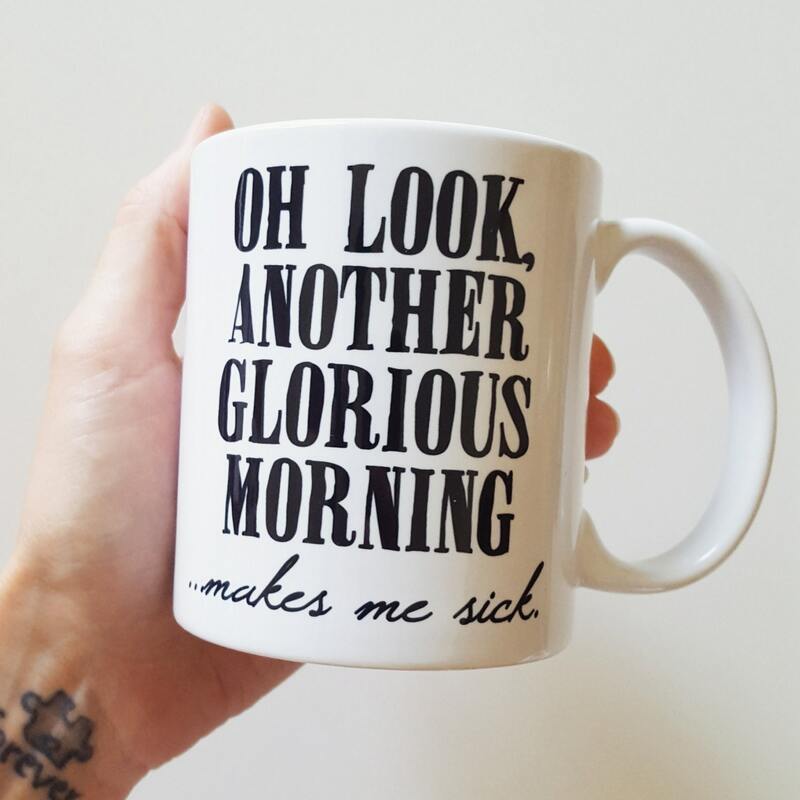 This listing is for one "Oh, Look another glorious morning...make me sick" coffee mug. Please select the color of choice with the drop down menu. Orders are usually ready to be shipped between 5-7 business days, BUT may take up to 2 weeks depending on how many orders are ahead of you. LOOKING FOR SOMETHING COMPLETELY CUSTOM??? Please feel free to convo me with what you're looking for and I will find a way to create it for you. I accept PayPal, credit/debit cards and Etsy gift cards as forms of payment. If I am, for some reason, not able to fulfill your order, I will contact you within 1-2 business days of your purchase and refund your money. All orders will be shipped within 1-2 weeks of cleared payment via USPS mail. Although most orders are ready to go within 5-7 business days. All shipping is estimated and includes costs of shipping materials. I do offer and encourage combined shipping, if interested. Please message me beforehand, so I can adjust prices accordingly or create a custom listing. I will ship to the address on your Etsy account, if not messaged and asked otherwise when you are making your purchase. Insurance is optional and costs an additional $1.75 for USA and $13.50 anywhere else. Please contact me before checkout if you choose to purchase insurance. 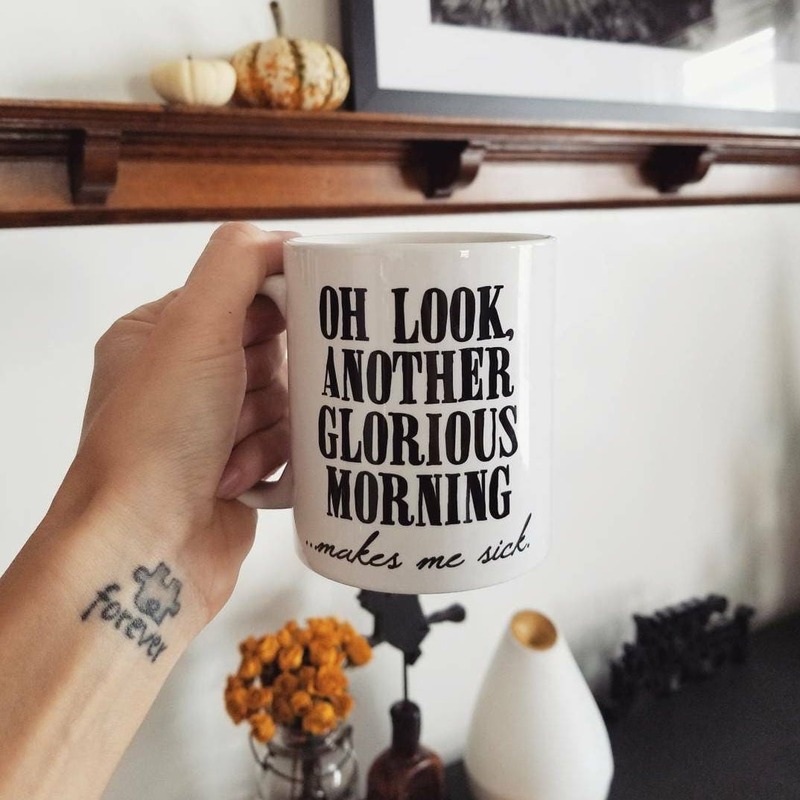 All mugs are sent out via priority mail which includes up to $50 of insurance. All orders are sent with tracking information, please refer to your shipping notification for your tracking number. ALL INTERNATIONAL ORDERS are responsible for all tariff and customs fees. Please be aware of these fees prior to purchase. ALL SALES ARE FINAL - No returns/refunds are offered or accepted. No refunds will be accepted on handmade items being they are custom and made specially for YOU. If there is, for some reason, an error/mistake on my part, please message me and I will be happy to correct my mistake. No refunds will be given for lost items. Being I send all my items with tracking information and keep all shipping receipts, I will not be held liable for lost items. But I will however do all I can to help track your item and resolve any issues of lost packages. I package all items properly and label them as necessary for postal workers to handle with care. I will not be held liable for damaged goods. Please keep in mind all items are made with my own two hands and are all unique. With that being said, not all items are perfect. But I will tell you, my standards are very high and I only wish to provide my customers with quality products that I, myself, would be happy with receiving. I wish for all my customers to happy and satisfied with their purchases and service. If there is something I can do to make your experience with my shop more delightful please contact me. 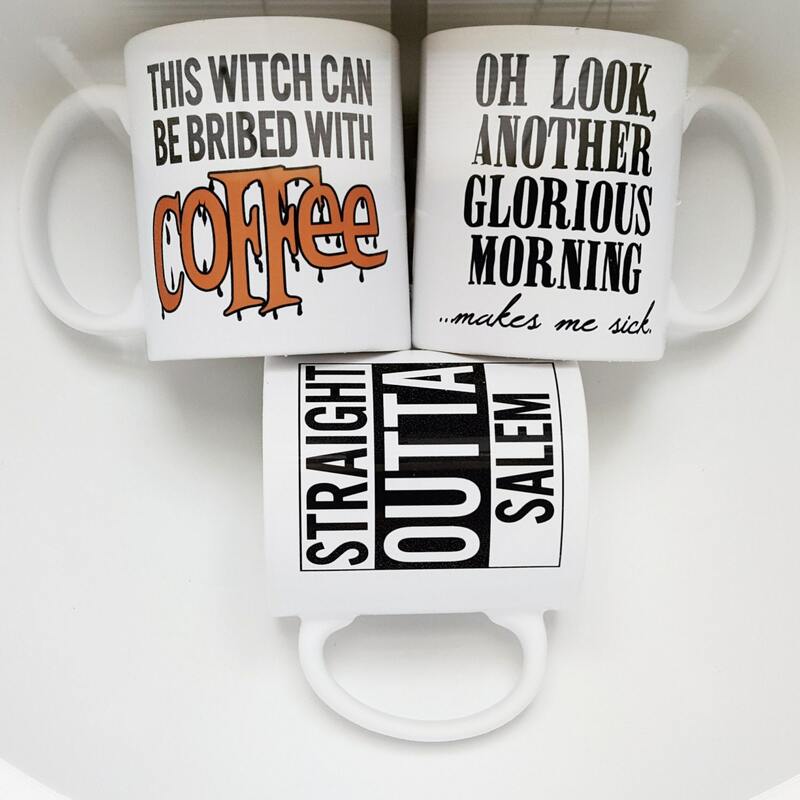 PLEASE NOTE - I hold ALL rights to any custom wall banner or coffee mug I design.